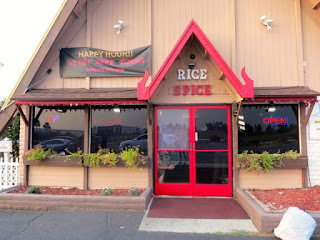 While in Perris, California, we headed out to have a nice Thai meal at a little place called Rice & Spice in Moreno Valley. It looks like a little house from the road. Inside, it's a small, simple joint with Thai artwork and not a lot of flare. 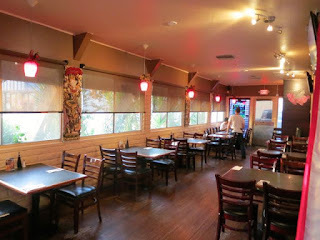 We had a large group of nearly 20 so we took up most of the restaurant...and probably annoyed the regulars. 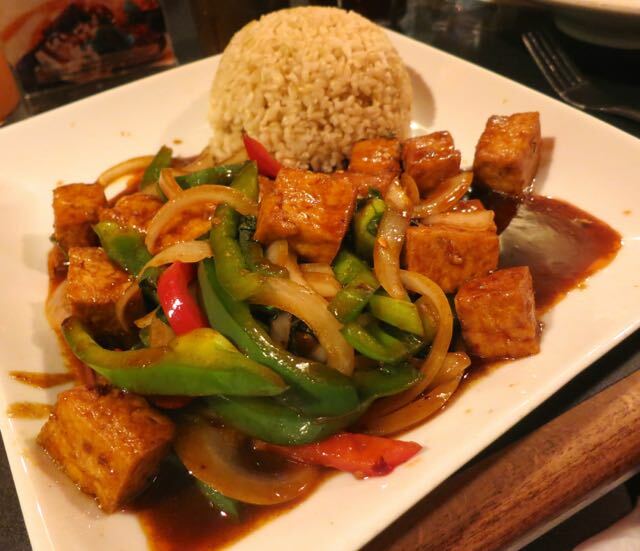 They were extremely accommodating stating they could make almost any dish vegan. Unfortunately or fortunately, depending upon how you view it, they didn't serve alcohol, so I just had water. We started with a Garden Roll, which was your typical rice paper roll with veggies and tofu served with a mustard sweet and sour sauce. 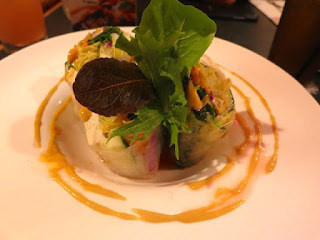 The rolls were large and filling. For my entree, I went with the Bai Kaprow, a spicy Thai stirfry made with green peppers onions, red peppers, and fried tofu in a savory sauce with brown rice. I really enjoyed it. 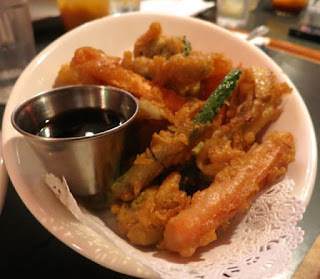 We also ordered some veggie tempura that was greasy, but good. What was interesting about the menu was that the starters pretty much cost the same as the entrees -- everything was $6 - $8 each. With no alcohol license, I don't know how they make much money. But, for these prices, the appetizers are a tad bit overpriced and entrees are super cheap so I guess it evens out. Given how much service we required, I thought they did a great job. And I love how accommodating they were to my dietary preferences. I'd recommend this as a great place to go in Moreno Valley.